The Fireplace Hut offers saunas from Finnleo for every taste and budget. 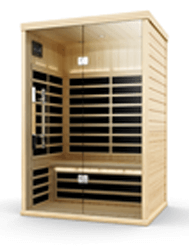 We have entry level portable saunas, to deluxe custom saunas with custom lighting, custom benching with multiple wood choices. Browse our selection. 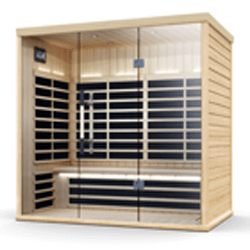 The S-Series by Finnleo have low EMR and EF throughout the entire sauna. 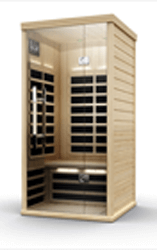 They have exclusive EvenHeat technology to warm quickly and evenly eliminating cold spots. 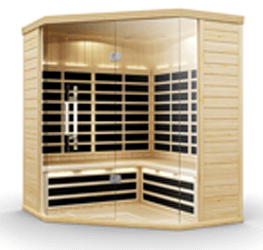 Each sauna has top quality floor to ceiling glass doors. 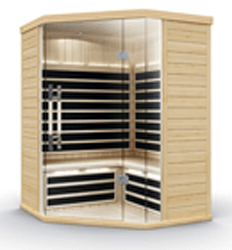 They are all finished with clear Canadian Hemlock for its sturdy quality and beauty.